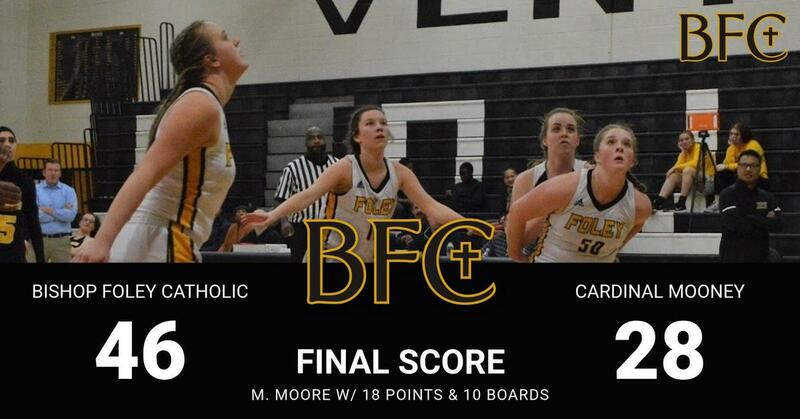 Girls Basketball shook off the Christmas break doldrums in the 2nd half of the their first league game against Cardinal Mooney before pulling away for the 46-28 victory. The Ventures held a 1 point lead at half but their defense kicked it into high gear as they held the Cardinals to 8 points in the 2nd half. 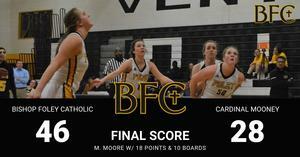 The team was paced by Melanie Moore who came off the bench to score 18 points and grab 10 rebounds. Mary Ruth Oster added 9 points all from shots behind the arc. Kayla Moore continued her strong play with 9 points, 6 rebounds, and 3 assists. The team next plays on Wednesday as they travel to Cranbrook for another league match-up.